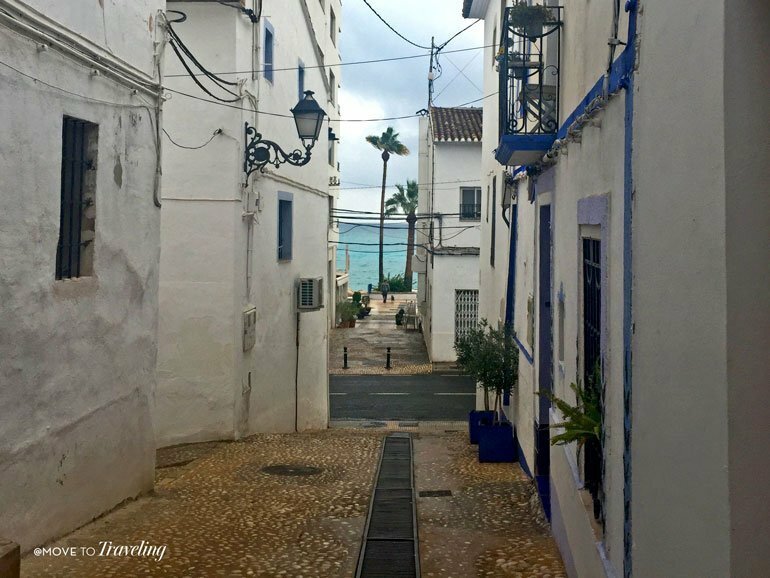 “Oh, you must visit Altea,” is what we kept hearing from local friends once we settled on the Mediterranean Coast of Spain. After visiting a few times now, we agree that it is a must-see on Spain’s Costa Blanca. 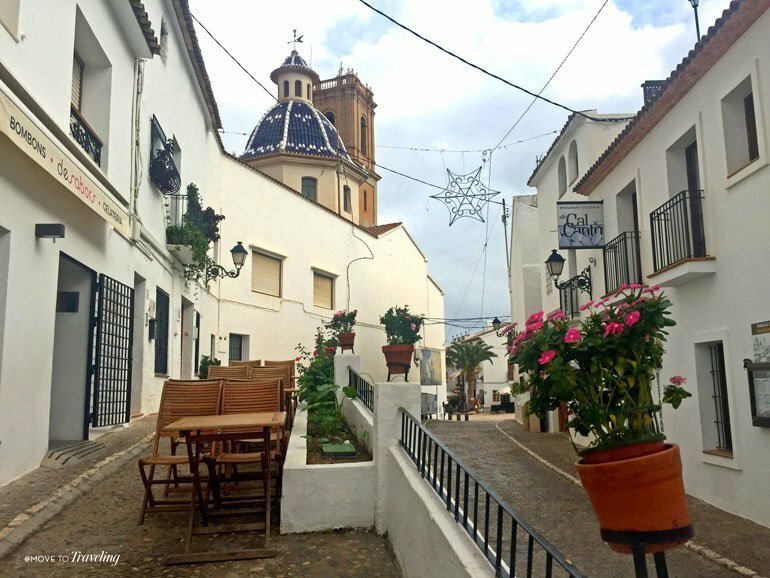 While we love our beach town of Denia nearby, we have to admit that Altea has maintained its traditional Spanish style even more so. 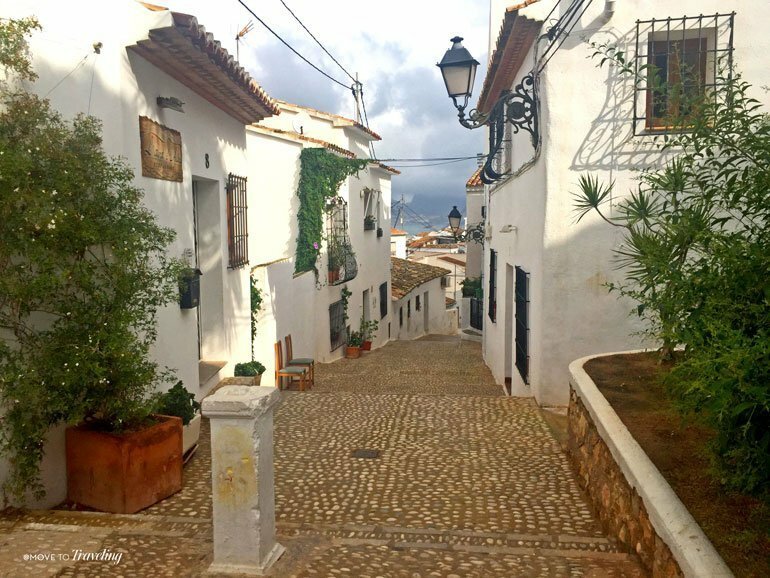 If you love the authentic charm of white-washed homes and mazes of old cobblestoned streets, all gorgeously sloping down to clear-blue sea waters, then you will love visiting Altea. Above Image – A mural just inside one of the old gates, the Portal Viejo. 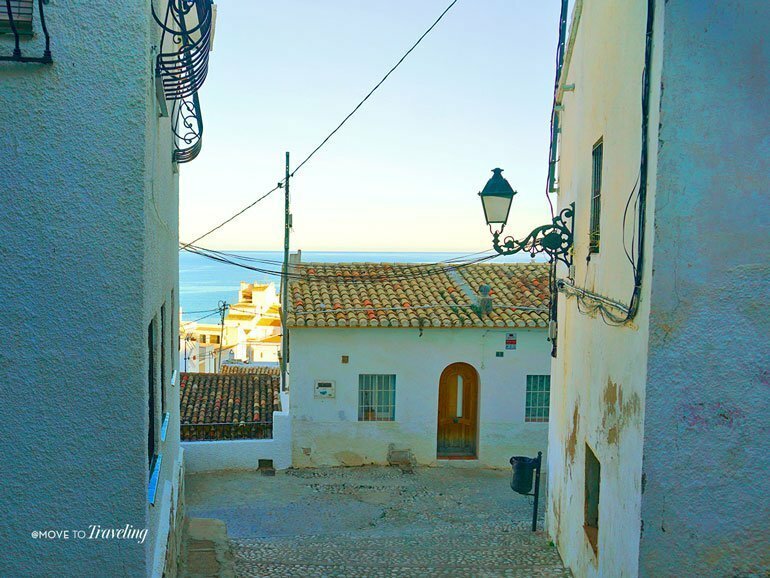 Like many of the fishing villages along this coast, Altea goes back many centuries. It has been settled by Iberians, Greeks, Romans and Muslims, and then eventually the Christians when it was captured in 1244 by James I of Aragon. 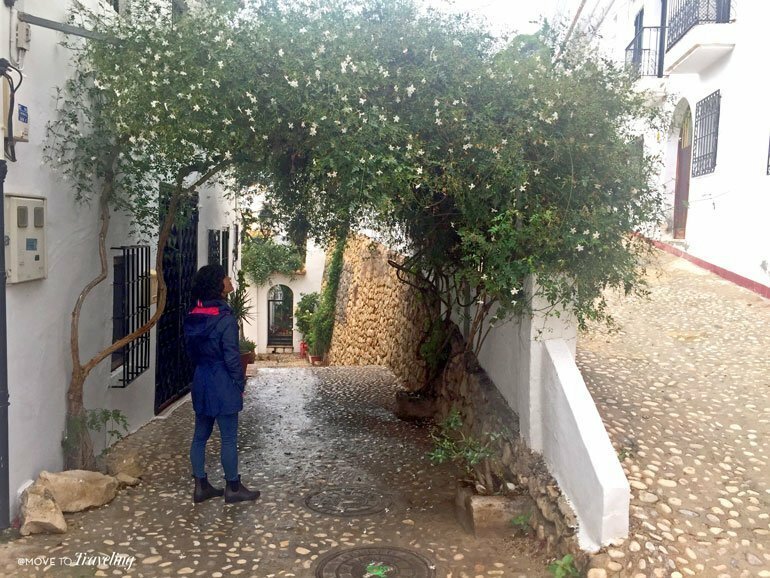 All these civilizations were especially drawn to Altea because it is where the mouth of the River Algar (which further inland feeds the popular Algar Waterfalls) meets the sea and the area has a wonderful micro-climate. This provided plenty of fresh water for sailors and fisherman, and the town prospered by producing dried salt fish. Yet in the beginning of the 17th century, increased pirate attacks caused a decline in the population and economy. Today, there are still canons displayed in the town, which were used to fight off the pirates. Each of our visits to Altea have been day visits, but it’s also a great place for staying one or two nights. There is plenty to see and do in the town and its surrounding area. How Many Beaches Can a Little Town Have? For being a somewhat small fishing village, Altea has three nice beaches to choose from. 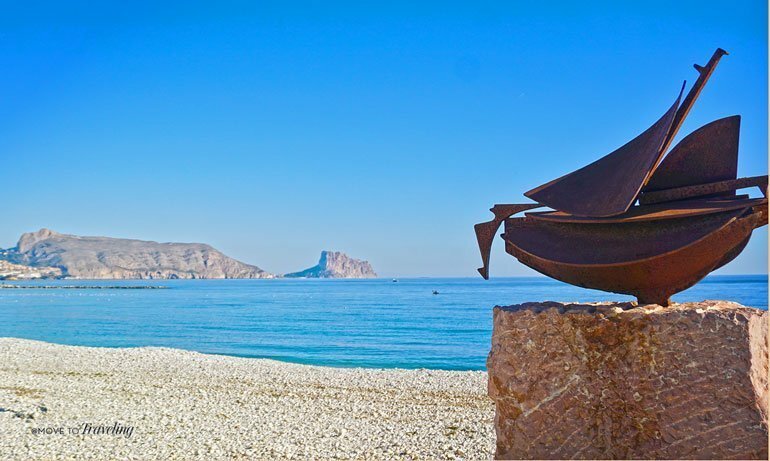 Technically it’s considered one beach (over 5 km long), the beach of Altea, but it’s divided into three portions. There’s the Cap Negret beach to the north of Altea’s center. Then, the La Roda beach, which is directly alongside the old town. Finally, the largest beach is Cap Blanc, which is to the south and also where the Coast of Albir begins. Each beach is composed of pebbles and stones and the water is usually quite calm. Among its beaches, Altea also has a marina and harbor. 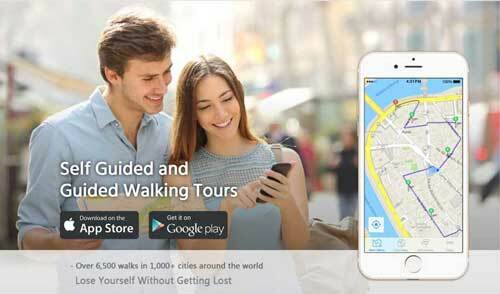 This is another lovely area for walking, enjoying food and drinks in the cafes, or chartering a boat from. Above Image – Guess we enjoyed the promenade so much, we forgot to get pictures of it. But here’s an enticing view of it from just a block in. We love how Altea has their promenade. Called the Paseo de Estrellas (the path of stars), it lines the sea and beach all along the town. The area is wide in most places and beautifully tiled, with a nice bike path designated as well. All along the promenade are quaint bars and restaurants with lovely outdoor seating areas to lounge with a drink. 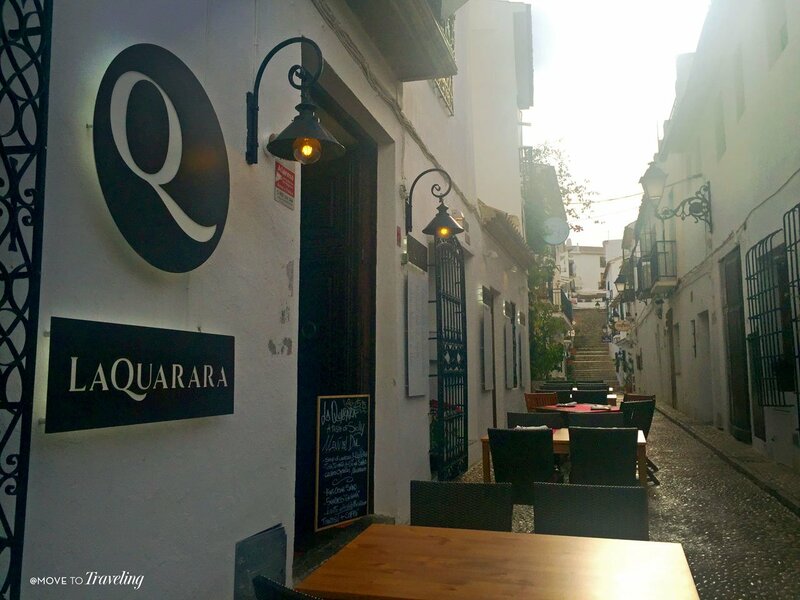 It’s an ideal place to savor tapas while being immersed in the picturesque scene of sun and sea right there, practically at your feet. Head inland just one block, and cross the main road that passes through town (the N332) to see the Plaza del Convento. This is home to an old Franciscan convent, the Iglesia de San Francisco. From here, the climb begins as you continue towards the heart of the old town. We can’t decide what is more the treasured gem of Altea – its enchanting old town or its gorgeous mediterranean beaches. Fortunately, you don’t have to choose. From almost anywhere in the old town, you have beautiful vistas of the sea directly below. 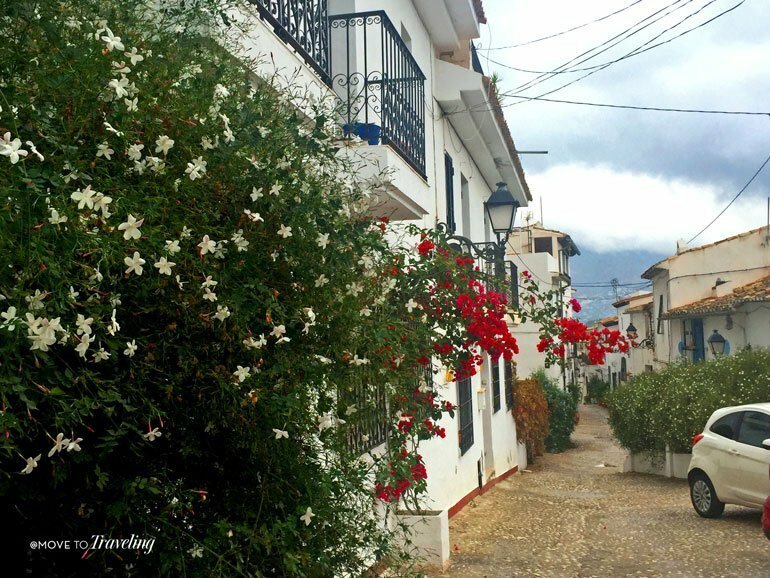 Walking among the traditional white-washed Spanish homes here, it’s the best of both worlds. While down at the sea, you can see the blue-tiled domes of the church emerging from the highest point, but once you enter the labyrinth of winding streets, you may loose sight. 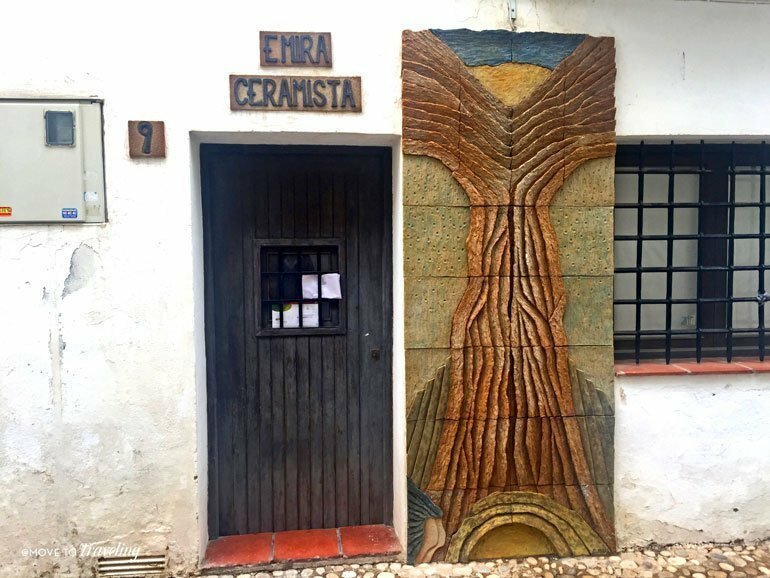 Along the way, look for the hand painted tile of a church on the walls to guide the way, or just take whichever way continues to go up. Above Image – The Portal Viejo, one of the remaining two gates of the town wall. You’ll know that you’re at the top when you walk through one of the two remaining gates of the fortress wall, built in the 16th century to protect from pirates. There were originally three gates, but today only the Portal Viejo (Portal Vell in Valencia) and Portal Nuevo (Portal Nou in Valencia) exist. Visit the church, the Virgen del Consuelo that is in the quaint Plaza de la Iglesia. 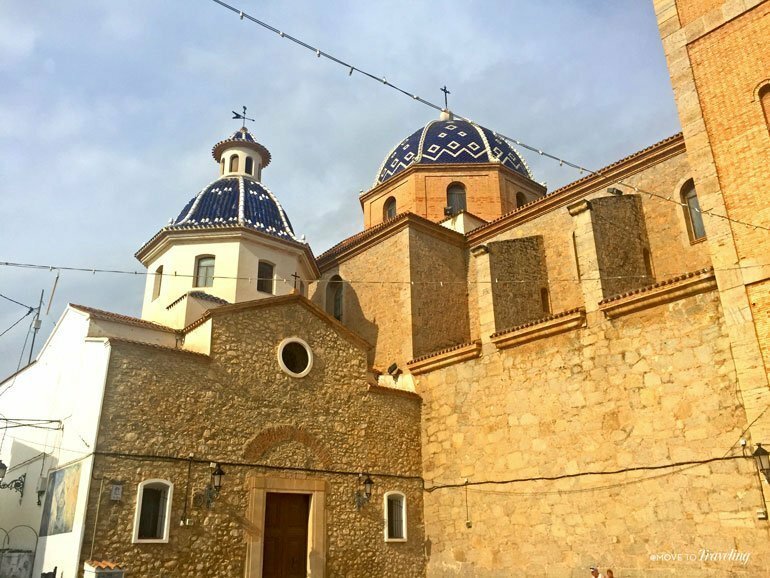 It’s beautiful stone architecture features the domes of deep blue tiles and gargoyles of dragons, typical of many of the churches throughout the Valencia region. Something surprising about this church is its more recent construction in the 19th century, which was actually completed in 1910. Yet for over 900 years there has been a place of worship on that location. During the Spanish Civil War in the 1930’s, the church’s bell tower was destroyed by Franco’s soldiers. 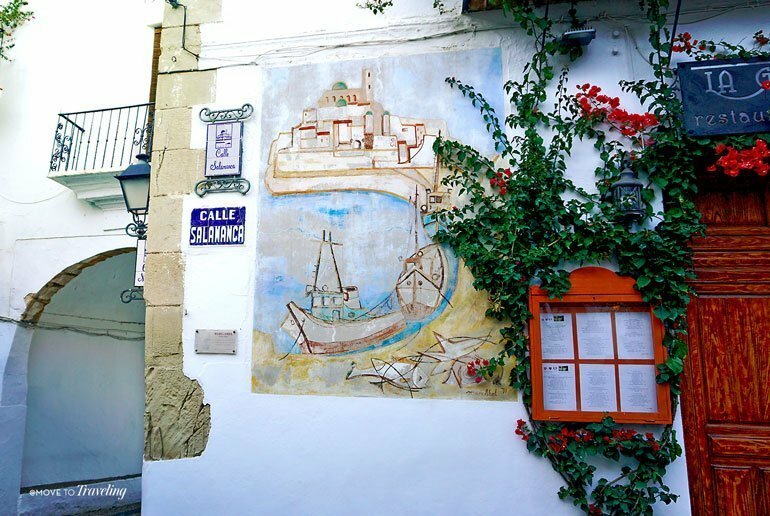 Altea is also known for an active community of artists, from painters to ceramicists. Located all throughout the town are galleries that can be visited, especially in the upper part of the old town and near the main church. There’s also quite the shopping scene, which you can’t miss. An array of boutique shops, from quality Spain-made shoes to nice clothes and kitchenware, can be found along many of the streets, especially near the sea. If you love shopping and art, make sure to stop in among these jewelry shops, art galleries and stores featuring local, artisan goods. Since this historic center is situated on the side of a hill, many of its streets are steep. Narrow, winding and built of cobblestone, many of them have grooves carved into them so you don’t slip and for channeling the water when it rains. In some areas, there are stone staircases that connect the passageways, all forming an exciting labyrinth of paths. Many of the streets have intricate patterns formed from and everywhere you turn, the rows of houses built side by side are lined with trellising flowers, overflowing pots of green plants, and decorated with hand-painted tiles. Quite often, the views are enhanced not only by glimpses of the sea below, but also of the neighboring mountain range to the north, the Serra de Bérnia. 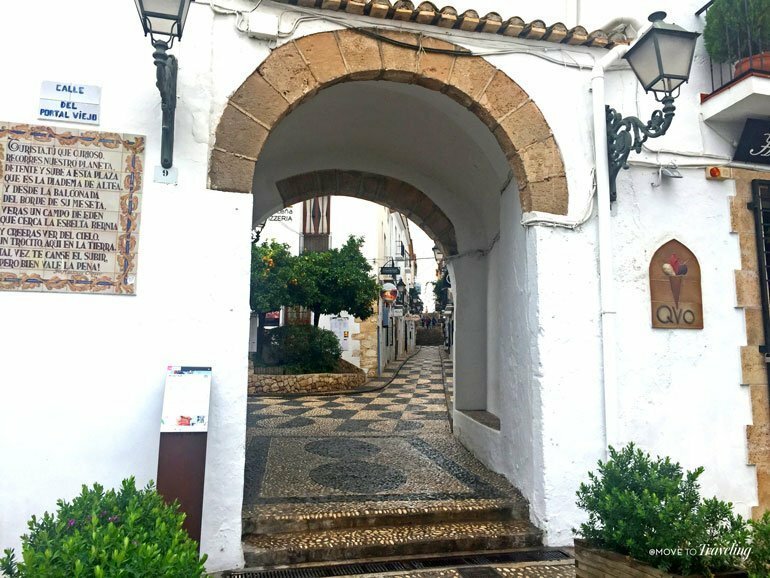 The joy of experiencing Altea’s old town is to walk its old streets and allow yourself to be drawn curiously around every corner and next bend. Keep in mind, that most of this area only allows cars in for residents living there, and some of the streets aren’t even possible to be on with a car. There are also more than a handful of scenic viewpoints (miradores) to come across, many of which have benches and beautiful designs of stone work in the ground. One of the most popular and beautiful miradores, is just south of the Plaza de la Iglesia. 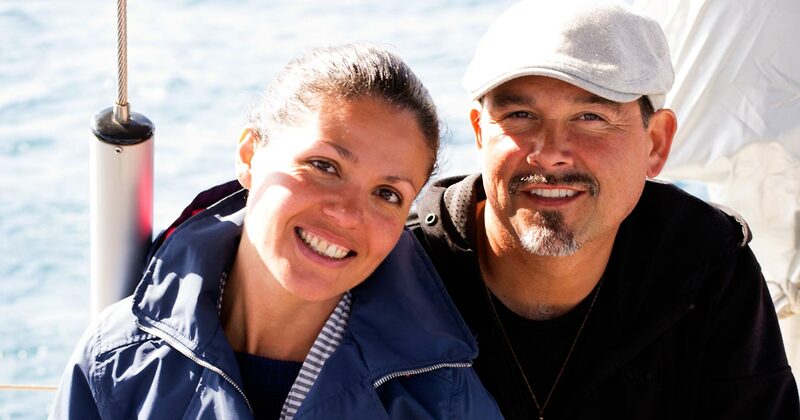 There are plenty of great ways to enjoy the natural beauty of Altea and its area. Enjoy hiking in the nearby Serra de Bérnia or ride bicycles along the seaside promenade. And did you know? Altea also has a public bicycle system. There’s also the natural park of Penon de Ifach in the nearby city of Calpe, to the north of Altea. This massive rock formation, rises up out of the sea, just along the coastline, and provides a great hike with impressive views. Another surprise about Altea is the food scene. Yes, there’s a lot of wonderful, traditional Spanish and Valencia style food, but there’s also a large influence of Italian food. You can’t miss it because Altea has so many pizza restaurants that boast wood-fired pizza ovens and the popular dishes of neighboring Italy. We’ve ate at two places in Altea, and would recommend both. The first was La Quarara, which is a nice Italian restaurant near the main church and just within the Portal Viejo gate. The owner himself is an energetic and friendly young man who was so welcoming, and his main server was very helpful. 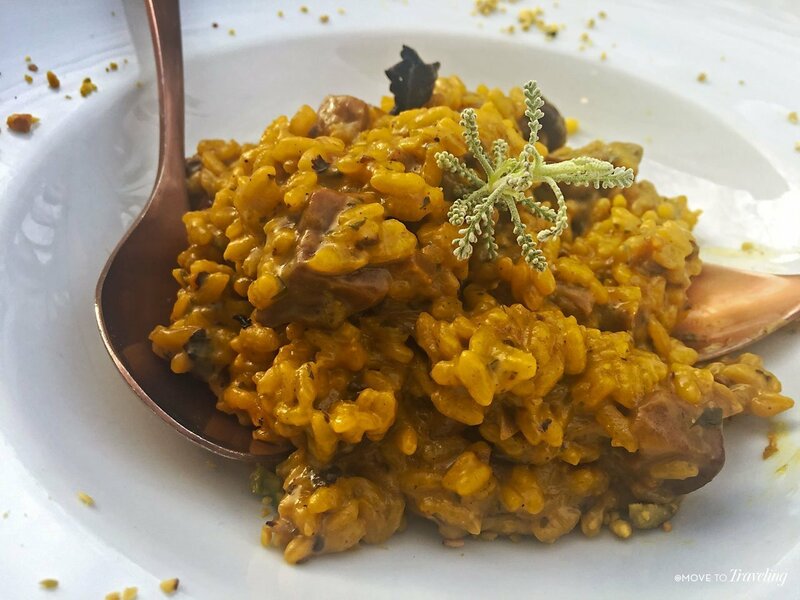 Overall the service was great and their food, especially their risotto, was wonderful. Just next door is the Italian Restaurante El Castell, where we had lunch on another visit. Their outdoor seating is beautiful, with just a handful of tables on their raised stone terrace that has olive trees and growing along the edges. Inside the restaurant is nice as well, with an authentic wood-fired pizza oven in their main dinning area on the second floor. The pizza and goat cheese salad there were delicious, and the service was very friendly. Lastly, we’ve noticed that a couple of the most popular places for tapas along the seaside promenade seems to be the Restaurante Casa del Mar and 8 de Tapas. We have only had coffee and tea at Casa del Mar on our first visit, but the people were nice and their display of homemade, natural cakes looked incredible, as well as their tapas menu. Then when we were last in Altea, we had great Estrella Galicia beer on tap at the place next door, 8 de Tapas which had fantastic service. If you’re looking for drinks and/or tapas right on the seafront, either of these places are worth trying. On our last visit, both places were packed, just before lunch on a sunny day in January. 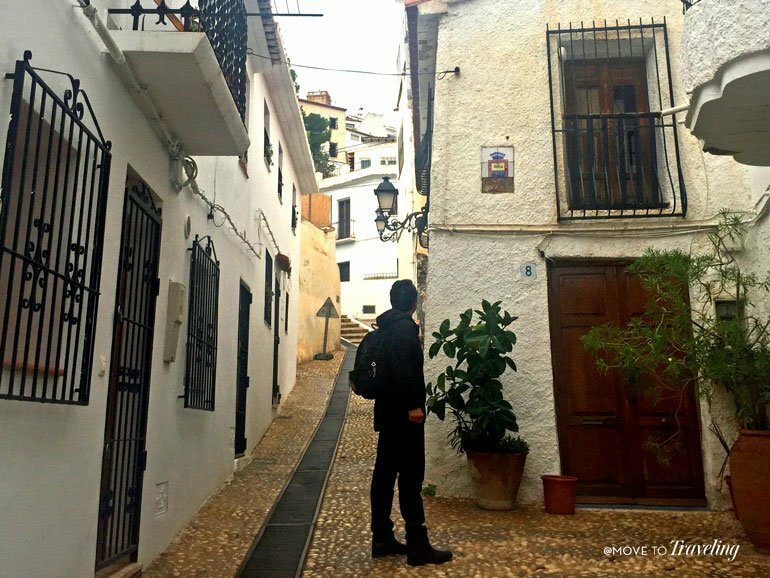 Where is Altea and how to get there? Altea is located about 45 minutes (58 km) by car from the city of Alicante, which has an international airport. From Alicante, you can also take the train to Altea that stops in various villages along the way, including Benidorm (although we do not recommend going there). This is also the same train line that continues north to Calpe, and as of later in 2019, will extend to its final destination of Denia. You can easily take a bus from Alicante to Altea as well, and from the city of Valencia, which is north of Altea by 1.5 – 2 hours (133 km) driving. There are plenty of great hotels and nice resorts for staying in Altea. If you want an authentic experience of staying in a local-style home in the old town, you can check out AirBnB or apartments on Booking.com. 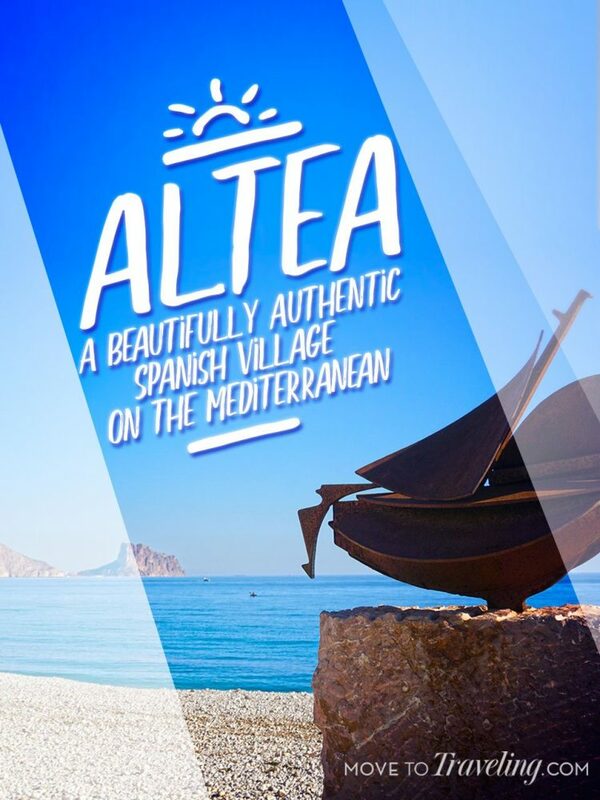 Altea has a true charm that will win your heart. Every time we’ve been, we comment that if we had seen Altea first, we may not have settled in Denia. That’s how beautiful it is! It’s traditional Spanish style is truly unique for this part of the mediterranean coast and further south. 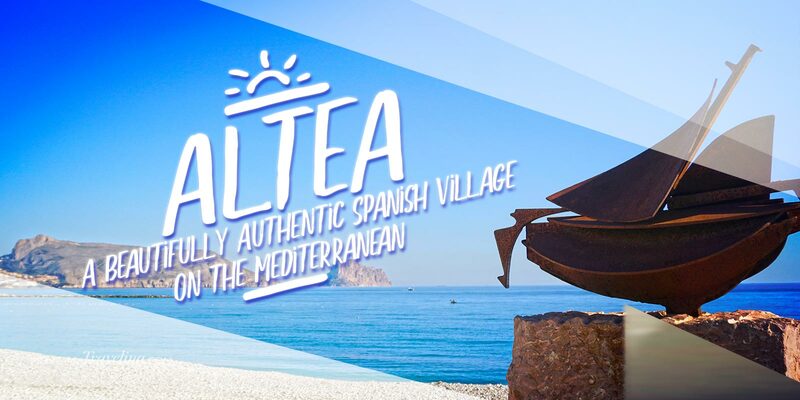 The combination of Altea’s old town nestled right along the sea, its picturesque promenade and old-world white-washed architecture, will leave a lasting impression and draw you back for more visits.